The lands called Serica are mostly desert. Old tomes blame this on an ancient war between powerful magocracies that devastated the continent. There is certainly evidence of this, circumstantial as it may be- magical trinkets and relics of power commonly surface from the many great ruins and ancient tombs of the landscape. 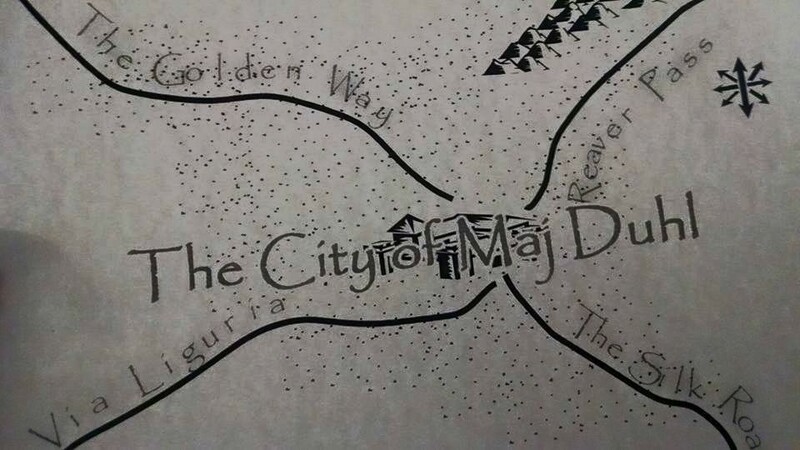 At the center of this wasteland is a green glimmer of hope- the City of Brass, the City of Splendor, called Maj Duhl. 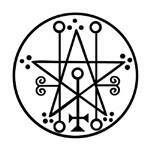 Built upon the site of an ever full oasis, it is the center of Serica. The Seres People are now scattered across the desert, surviving as nomads and traders. A host of them live in the City of Maj Duhl. Few traces remain of their former glory. Great magical bloodlines have been diluted and lost- mostly. 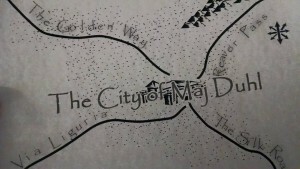 Maj Duhl is built at the meeting of four roads as ancient as the city itself. The Silk Road runs south to a great ocean which is frozen in it’s southern reaches. Across this ocean are many Kingdoms and City-States. Well travelled merchants tell of commerce many years ago with a kingdom called Valdimar, now buried under a frozen waste. This land was but one of many- all populated by primitive, warlike peoples bent on hoarding land and riches. The Silk Road was named by the coastal denizens of southern Serica who live off the great ocean. It is the road to Maj Duhl and to the heart of Serica for any travelling from the south. North from Maj Duhl runs The Golden Way. This trade route leads to the Khanate of the Golden Horde, a vast empire ruled by horse mounted warlords. The Golden Way is controlled by a powerful clan called the Crimson Lotus. These mysterious warriors toll the road and levy taxes on travelling merchants. They are feared on the Golden Way and given great respect by any merchants who fall into their domain. The road west out of Maj Duhl is called the Via Liguria by its travelers. It leads to a rich land ruled by merchant princes. Travel on the Via is governed by the feared House DiProspero. This Ligurian guild poses as a reputable merchant house, but is rumored to be a ruthless band of thieves and poisoners. The east road is called Reaver Pass and it is lawless. It leads to the Savage Wastes, a forlorn expanse of desert that meets with the Serican Mountains to the northeast. The Reavers- a band of barbarians and thugs- have their run of the Pass. Travel on Reaver Pass is dangerous, even suicidal, as the Reavers are known to murder and steal at whim.